This variety hails from southern Sweden. Its tiny almost round leaves are an attractive yellow green color that doesn't color up red under stress like most of the album varieties. 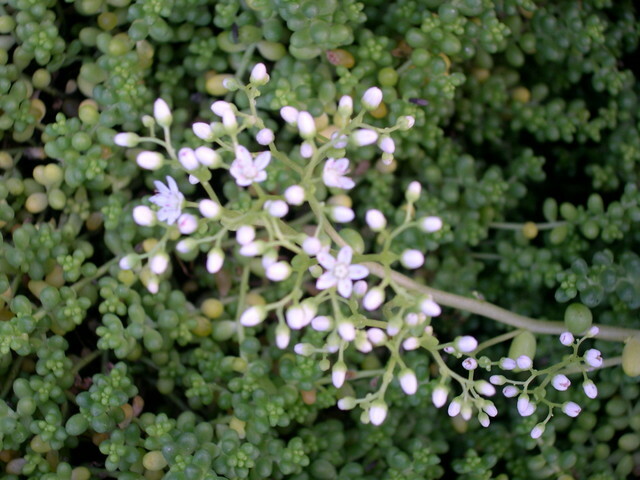 Forms a low mat with relatively short white flower clusters.